For support and general comments, the fastest way to contact me is through this email form. You will typically receive a reply from me the same day, as I check my email often. If you'd like to contact me personally, please use the email form above. I check my email often throughout the day, so you will receive a prompt reply. Beaubien Investment Company, LLC is an organization whose focus is to build long-term relationships. We believe in taking our clients seriously and vow that if we do not have a solution to a problem, we will find it for you. We believe that our ability to succeed is directly related to our unwillingness to fail. We take pride in seeing our clients achieve success and we understand that our success is directly related to the successes and achievements of our clients. Furthermore, we always operate with the belief that our reputation for fair dealing is our greatest asset; we are committed to maintaining the highest standards of conduct. Our solid capital base and high credit rating often translate into added financial stability and flexibility for our clients. 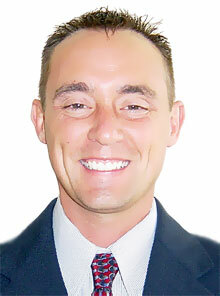 Jeff Beaubien is the President and founder of Beaubien Investment Company, LLC in Howell, Michigan. He specializes in creative real estate techniques, but focuses on the most powerful technique of them all -- the Lease 2 Purchase contract. As a result of his success as a real estate investor, Mr. Beaubien is the proud author of his brand new real estate course, The Lease 2 Purchase Handbook and FREE CD. He has also made himself available to his clients in the form of one-on-one private consultations. Previously, Mr. Beaubien was a successful insurance agent for Allstate Insurance Company. His office was based in Chelsea, Michigan. He won many awards during his tenure, including three consecutive Honor Rings. He is a LUTC graduate and was a member of the local Chamber of Commerce.